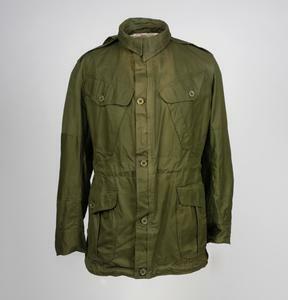 Jacket & hood Single-breasted four pocket field jacket made of olive green windproof fabric with exposed plastic buttons to the front and pocket flaps. The cuffs and epaulettes are secured by similar buttons and a further button that is located at the outside rear of the collar fastens the detachable cold weather hood in place. 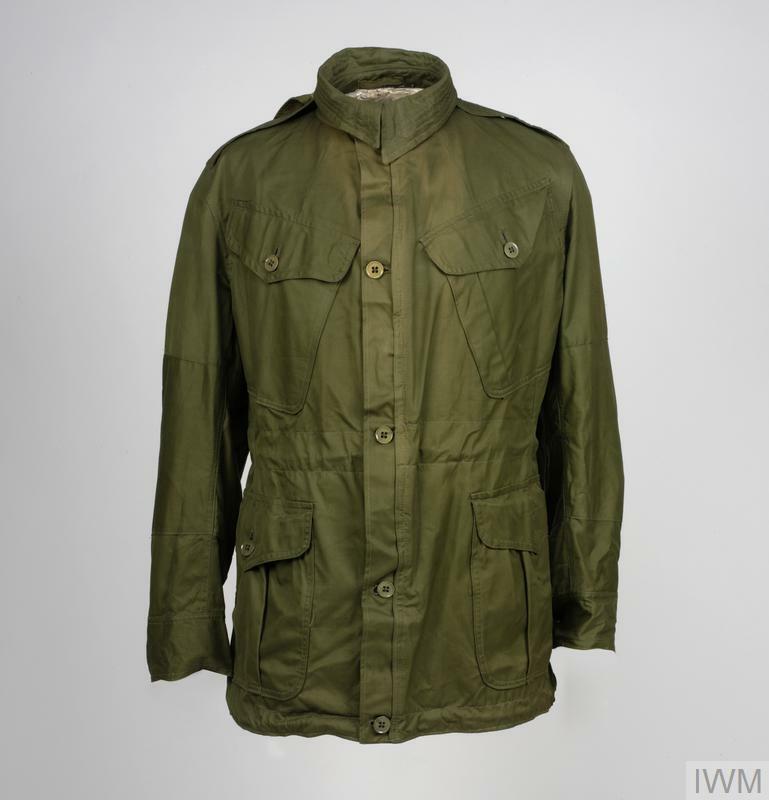 When British troops were first deployed in the Korean War they were kitted out in jungle green uniforms for the summer and ordinary serge battledress for the winter months. But, so severe was the Korean winter weather, British soldiers often sought to offset the effects of the cold by improvising, e.g. adding camouflage windproof clothing over their uniforms. Caps with ear flaps and other additional cold weather clothing were eventually made available via US Army sources. 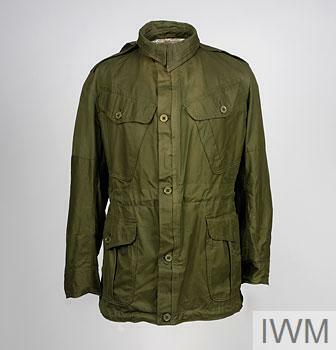 Ultimately, an entire new British combat uniform was developed, heavily influenced by the US M-1943 field jacket and trousers, and the British version became known as the 1950 pattern Combat Dress. A peaked field cap, loosely resembling a ski cap, complemented the clothing and, for extreme cold temperatures, a hooded parka coat with synthetic fur lining was issued. The 1950 pattern Combat Dress continued to be worn until made obsolete by the 1968 pattern DPM Combat Suit (issued from the early 1970s).